Where we meet by accident and part as friends. At Yingling’s Auto Body, we pride ourselves on providing professional, reliable body work. We know how important your vehicle is to you. Our expert technicians will have your vehicle looking like new and back on the road as soon as possible. Our estimators will work directly with your insurance company to take the hassle out of your insurance claims. Yingling’s Auto Body is located in the back of the Yingling’s Auto Service building. Room for any size vehicle. We built our large vehicle facility after discovering that there were few options for RV owners nearby. As the only RV repair center within 60 miles of Topeka, we’re able to provide the area with essential RV services. Our 4,300-square-foot, state-of-the-art facility is big enough to accommodate four full-size vehicles at a time. 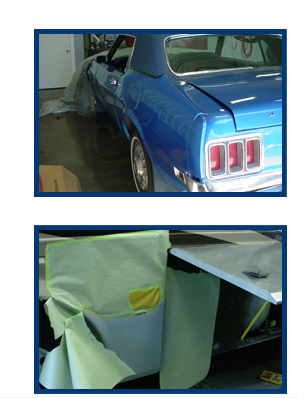 Yingling's Auto Body is authorized to perform warrenty work and can deal directly with your insurance company.